Roberts Brothers operated from a factory located in Wood Street that was run by the Barron family until about 1922. The firm was eventually purchased in 1931 by Harrup Brothers. An example of a Roberts Brothers Stone Ginger Beer Champagne neck bottle. An example of a Roberts Brothers Stone Ginger Beer Champagne neck bottle with a different transfer. 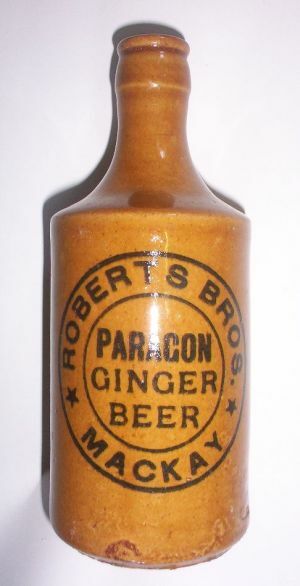 Another example of a Roberts Brothers Stone Ginger Beer Dump bottle. An example of a Roberts Brothers glass crown seal. Another example of a Roberts Brothers glass crown seal. 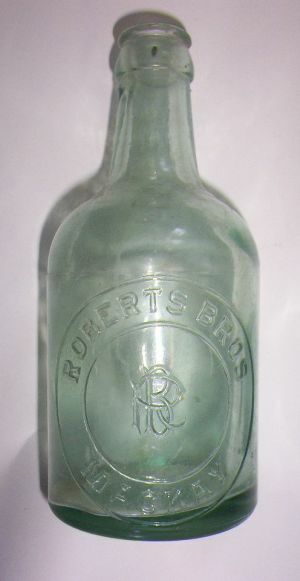 An example of a Roberts Brothers Dump soda glass crown seal bottle.